France is full of amazing chateaux, and we’ve highlighted what we believe to be the best. There are fairytale palaces, majestic castles, reinforced fortresses and mysterious ruins, all with fascinating stories to tell about the people who have lived, loved and fought over them throughout the ages. We’ve picked our top ten favourite French chateaux to give you a flavour of what’s out there. Next time you stay in France find out which castles are in your area, or take a detour on your journey to explore and discover your own top ten landmarks. One of the most iconic chateaux in the Loire Valley, Chateau Chenonceau is famous for the Grand Gallery that stretches across the River Cher on a series of stone arches. The chateau was built in the early 1500s by Thomas Bohier but seized by the king in lieu of bad debts soon after completion. 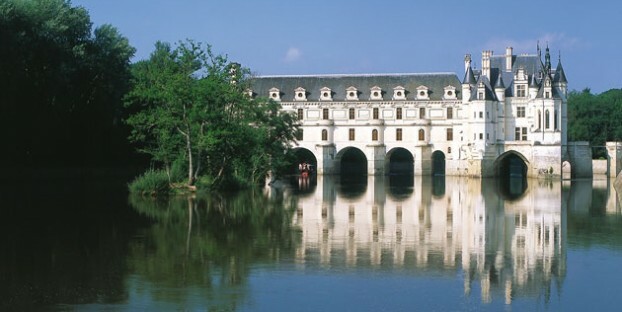 Later, Henry II gifted Chenonceau to his mistress Diane de Poitiers who arranged significant renovations commissioning the impressive gallery extension over the river and designing the beautiful formal gardens. On the death of the king, his widow Catherine de Medici forced Diane de Poitiers to move to the less grand Chateau de Chaumont nearby and took charge of further updates at Chenonceau herself. This included adding her ‘C’ initial to the many ‘HD’ (Henry and Diane) interior motifs Diane had included in the décor. After Catherine’s death the castle passed through many hands and fell into disrepair before being restored to its former glory by current owners the Meniers. A visit to Chateau Chenonceau is a real window on its opulent past with influences of the royal mistresses and queens at every turn. Chenonceau was also used as a field hospital during WWII and proved a very useful strategic building as it straddled the ‘front line’ with half falling in the Nazi occupied side of the river and half in free France. The beautiful Chateau Chambord was built in the first half of the 16th century as a hunting lodge for King Francois I, but its impressive size and design belie this humble original purpose. Chateau Chambord has over 400 rooms and 80 staircases, multiple towers and enclosed courtyards – it’s the largest chateau in the Loire Valley. 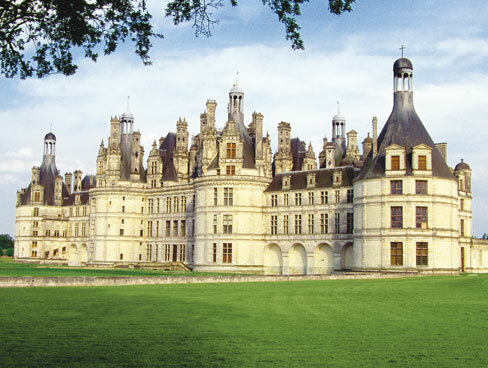 Today Chambord is a major tourist attraction, a great example of French Renaissance splendour furnished with antique furniture, art and tapestries. The castle is surrounded by an ornamental moat and outside there are extensive walled parklands and gardens to explore. You can also see a collection of horse drawn carriages in the original stable block. The real life inspiration for the famous Sleeping Beauty castle depicted in the Disney films, Chateau d’Usse is crowned with towers and turrets in the Gothic Renaissance style. Set in the Chinon forest with views over the beautiful Loire countryside and the Indre River the terraced gardens and small chapel in the grounds are full of fairytale magic. The castle is still inhabited today but there are areas open to the public including a gallery dedicated to the story of Sleeping Beauty written by Charles Perrault. 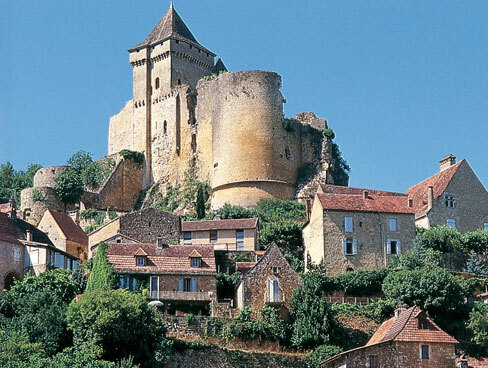 Situated in the Dordogne, Chateau Castelnaud dates back to the 13th century. Originally a Cathar stronghold, this castle was a major player during the 100 years war when it was held by the English and involved in many disputes with French occupied Chateau de Beynac, just across the river. Throughout the centuries the castle fell into disrepair, but now in private ownership it has been restored and extended into a popular tourist attraction. It’s a great place to visit for families; the spooky dungeons and secret passages will thrill children and the recreations of medieval castle life are evocative and authentic. A museum of medieval warfare adds to the experience with giant slingshot demonstrations and hands-on displays of weaponry and armour. Chateau Pontivy is a highlight of any visit to the medieval town of Pontivy in Brittany. The current chateau was built in 1485 by the Rohan family. It was created on the site of an earlier castle that had been destroyed in the 13th century. Originally, the walls were surrounded by moats and the castle was very much a defensive structure, but in the 18th century the austere medieval fortress was renovated to offer more ornate, comfortable accommodation with decorative fireplaces and staircases. The contrast between the two styles provides a fascinating insight into the different stages of the life of the chateau. 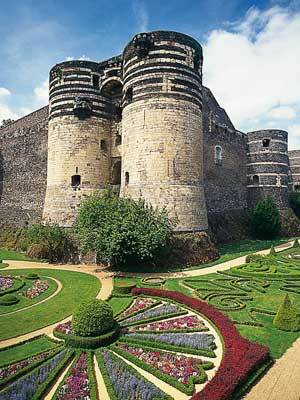 The site of Chateau d’Angers has been a strategic military point since Roman times. 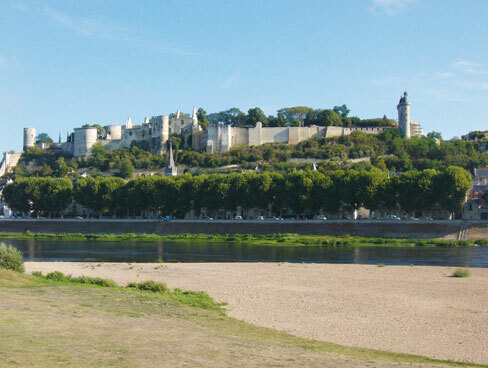 On the banks of the Maine River in the Loire much of the current structure dates from the early 13th century with several hundred metres of thick, strong defensive walls backed up by seventeen towers and a wide moat. It’s no wonder that this is one of the few defensive castles never to be taken by siege. In the 16th century, many of the castle defences were removed and the stone was used to develop the surrounding town. Today, the castle is most famous for the series of ‘apocalypse tapestries’ commissioned in the 14th century that are on display here and stretch for over 100 metres. 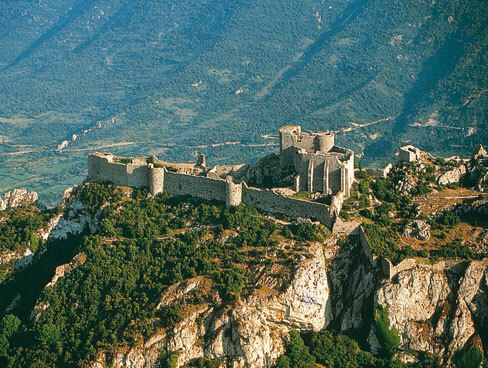 Chateau Peyrepertuse is the cliff top site of the ancient, romantic ruin of one of the finest Cathar castles of the Languedoc. The castle dates from the 11th century and is almost hidden amongst the rocky landscape. Building the structure in such a precarious position must have been a very testing challenge indeed! Chateau Peyrepertuse was an important defensive position on the border with Spain until the 17th century; it was abandoned after the French Revolution and is now a ruin. You’ll need to take a walk up a steep path to reach the castle, but it’s well worth it for the magnificent views. Children will love exploring the remaining rooms and climbing the rough stone stairway to the Saint George Keep. 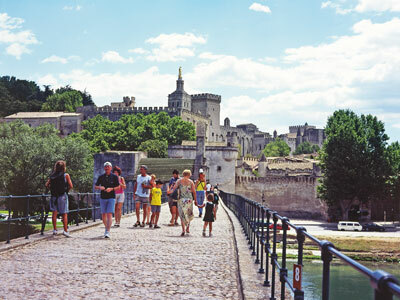 Built at the crossroads of the three provinces of Anjou, Poitou and Touraine, the Royal Fortress of Chinon is the historic palace where Joan of Arc met with the crown prince and future King Charles VII in 1427. With a history stretching back to 954, there are throne rooms, royal apartments and relics from through the ages to discover here. The castle has recently been restored to the height of its military splendour and is a modern tourist attraction with interactive displays that transport you back through the rich history of this important site. The 14th century Palace of the Popes is one of the most heavily fortified castles ever built. It was used as a safe haven for Popes in exile from Rome from 1309 to 1377. The imposing chateau in Avignon is designed in a style of architecture that fuses French and Italian Gothic design, with fascinating grotesque carved gargoyles adorning the castle walls. Today, the Palace of the Popes is one of the top ten most visited attractions in France, housing a convention centre and numerous exhibitions and events. 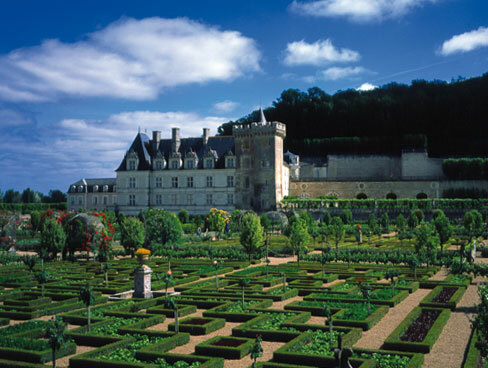 A paradise for garden lovers Chateau de Villandry is one of the last Renaissance castles built in the Loire Valley. It was not a royal endeavour; instead it was a commissioned by Jean Le Breton, the French Finance Minister in 1532. The chateau architecture and gardens were designed to be classic, formal, richly decorated and elegant – a perfect example of the fashion of the time. In 1754, the chateau underwent renovations that disturbed the classic style but the gardens were successfully preserved and then fully refurbished in the 20th century. The gardens are the major attraction of this site with themed areas such as the ‘Garden of Love’ and the ‘Garden of Music’, grape arbours, flowers and vegetables combining to recreate a perfect Renaissance landscape. Chateau Castelnaud is such a spectacular place to visit. Great for a family day out theres lots to see and do and to be honest we thought that the entry charges are quite reasonable compared to what you’d pay in the UK for a similar attraction. I agree with 1. Chambord is grand but dirty and not “lived in”. In the Loire region; try Cheverny- much more manageable and feels cosy. Amboise is also magnificently located and has a nice town and wonderful Sunday morning market as plus’s.